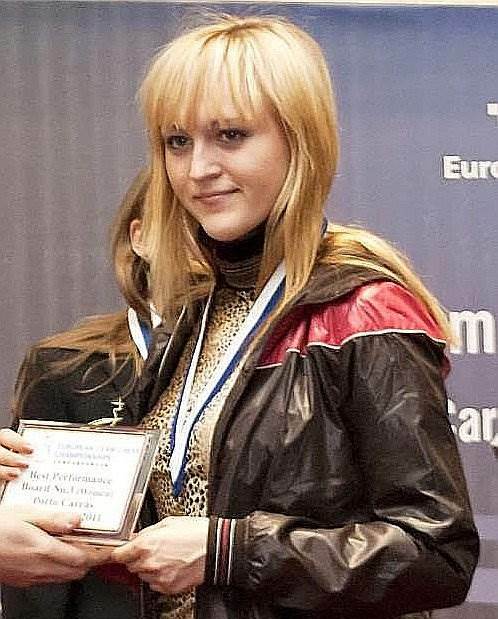 The Women's World Chess Championship 2013 was a match going over 10 games between the defending champion Anna Ushenina from Ukraine (ELO 2500, Age 28) and the challenger Hou Yifan from China (ELO 2609, Age 19). Hou has been World Champion 2011, but lost the tltle in a knock-out tournament one year later in 2012 in which Anna Ushenina became Women's World Champion 2012. The match took place from 10 to 27 September 2013 in Taizhou, Jiangsu, China. It lasted only seven games as Hou Yifan won the match prematurely 5.5 to 1.5 and became Women World Chess Champion 2013. 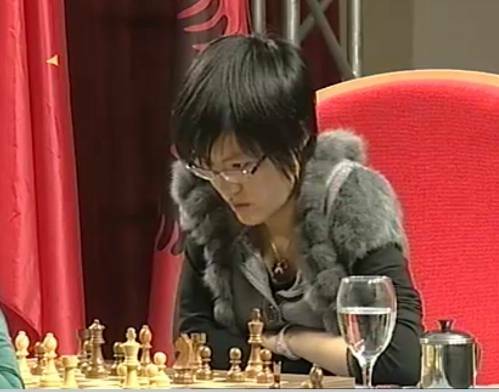 Hou Yifan is a favorite of the match due to her higher Elo rating of 2609, being 109 points higher rated than Anna. For some reason the match fell apart because Anya was not able to withstand the psychological pressure of the match. Hou Yifan got the decisive 5,5 points already after 7 games and became world champion 2013. One problem was that Anna spent too much time on her moves and found herself in time trouble in each game and she could not solve this problem during the whole match. "Another strategically complicated endgame happened and it was not enough to calculate variations only. It’s important to understand where to place the pieces. There was this moment of fight we were looking for. And at this very moment Anna decided to capture the pawn with comfort, but it did not work this way. Should Anya win the fifth game, we could have had an absolutely different, long and interesting match with almost equal chances. She lost her real chance and she was morally broken after that." It all started in the opening. She didn’t play what we prepared; she mixed one variation with another one." "And here one could only hope for the situation when Hou would lose concentration being so close to a success, but it did not happen. I can only say that Yifan deserved the victory. It was obvious she is well prepared, she is aware of the balance of power in the match, she realizes what to do, what to avoid." "However, I believe, despite the catastrophic final score, the pressure and the struggle lasted for a long time. I think that we could and we should have put more serious resistance."